New Mexico, First atomic bomb test site: Site Trinity ground zero, the still radioactive piece of desert in the White Sands Missile Range, which was witness to the world's first nuclear explosion on August 6, 1945. Each year the site is open to the public for one day. 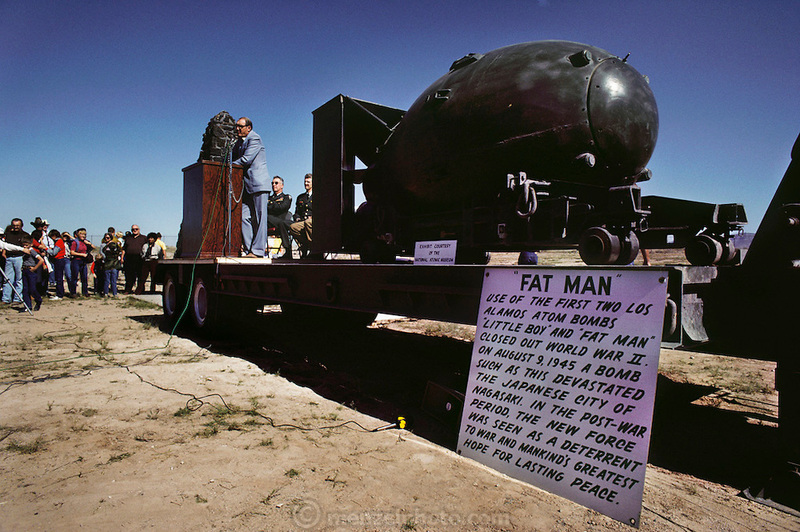 Visitors to ground zero listen to a Manhattan Project scientist reminisce while standing next to an original Fat Man bomb casing, on loan from the nearby Atomic Museum in Albuquerque, New Mexico.